Egypt's President Abdel Fattah al-Sisi on Thursday appointed a string of new governors to key regions, the latest shake-up since winning re-election in March. Sisi has reshuffled a host of top officials since claiming a second term with 97 percent of the vote, as he looks to press on with economic reforms and bolster security. In the latest move he replaced 22 of Egypt's 27 regional governors, including in northern Sinai where the military is currently conducting a major operation against jihadist fighters. The majority of the new appointees are drawn from the senior army and police ranks favoured by ex-military chief Sisi. But they also include Manal Mikhail in Damietta province, who became the first Christian woman ever appointed to such a position in the majority Sunni Muslim country. "Egypt expects lots of effort, collective action and dedication to further development," Sisi said in a statement released by the presidency. In June Sisi shook up his government by replacing a number of his top team, including the defence and interior ministers. 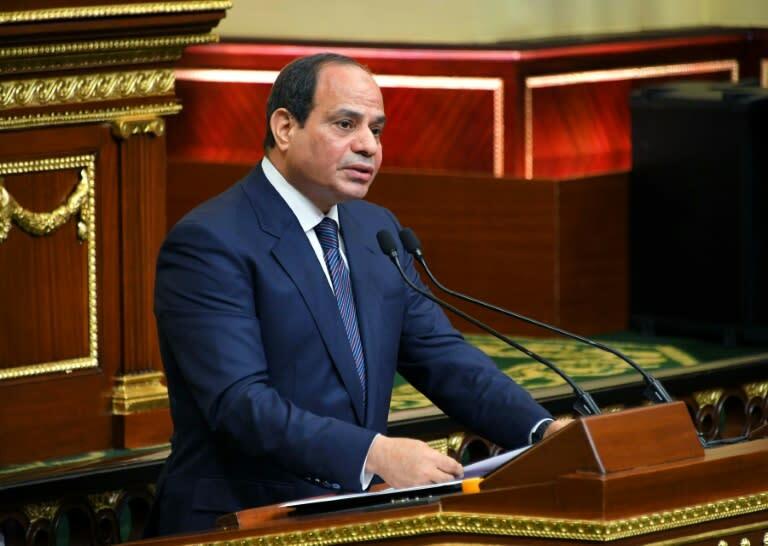 Sisi won re-election in March against only one opponent, widely viewed as a token candidate, after more serious challengers were sidelined or arrested. He first won the presidency in 2014, a year after ousting president Mohamed Morsi amid mass protests against the Islamist's rule. Egypt is currently struggling to boost its economy after implementing a raft of painful reforms that have seen sharp price hikes. The authorities are also trying to put an end to a bloody Islamist insurgency that spread across the country after Morsi was toppled.